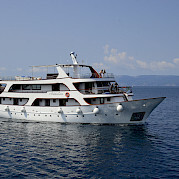 The Comfort Plus class ships are the most luxurious and spacious of all the ships we use. 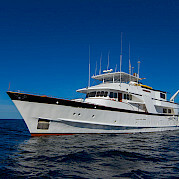 They are generally all recently renovated or built, and offer more comfort than the other class ships. 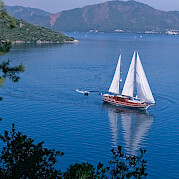 The boats that fall in this class are very comfortable and tastefully furnished ships with a special saloon and a separate bar. Cabins are larger and come equipped with private bathrooms, air-conditioning and heating as well as flat twin beds (no bunk beds), and many times offers daily cleaning of cabins. Guests can enjoy a hearty breakfast buffet and 3/4-course dinners at night. 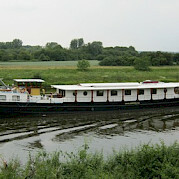 In addition to the tour guide, there are at least 4 crew members on board. 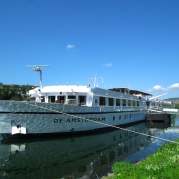 Magnifique II Belgium, Netherlands Deluxe Class Boat In 2016, we saw the launch of a new premium barge, the Magnifique II, to wonderful reviews. 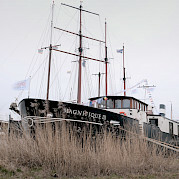 The ship boasts a classical style with emphasis on superior comfort. 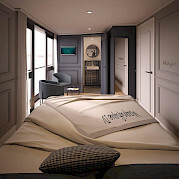 Highlights of the barge include 4 upper deck suites, with cozy seating area, and lovely large panoramic windows. This ship has earned the premium designation! 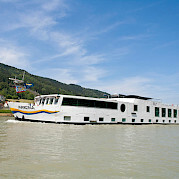 Magnifique III Netherlands, Belgium Deluxe Class Boat A new ship in our program. 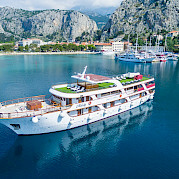 Following the success of her sister ships, Magnifique I and Magnifique II, this deluxe vessel, launched in 2018, has not diappointed! 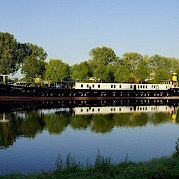 Magnifique IV Netherlands, Belgium Deluxe Class Boat Following the overwhelming success of the premium barges Magnifique, Magnifique II (2016), and Magnifique III (2018), we are proud to now offer a new addition, the Magnifique IV. 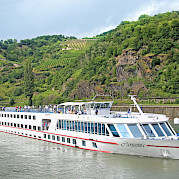 MS Arlene II France, Germany, Austria, Slovakia, Hungary Deluxe Class Boat The MS Arlene II, formerly the Arlene, was upgraded before the 2018 season. 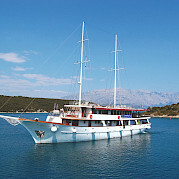 All cabins on the vessel are outside featuring en-suite facilities with shower and hair dryer, TV, safe, and individually controlled air-conditioning. 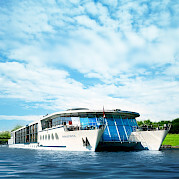 MS Carissima Austria, Germany, Slovakia, Hungary Deluxe Class Boat A deluxe vessel for touring along the Danube, the Carissima offers an inviting and comfortable atmosphere on board that will make your journey unforgettable!